This is an interesting development I came across, kinda fitting since we are in the heart of the corn belt. Sunflower seed husks, a huge waste product of the vegetable oil and food industry, could be used as an environmentally friendly filler, or aggregate, for concrete according to Turkish researchers writing in the International Journal of Environment and Waste Management. The team demonstrated that the use of husks reduces the density of concrete as well as boosting the material’s resistance to cracking after exposure to icy then thawing conditions. Engineers Can Burak Sisman and Erhan Gezer of Namik Kemal University in Turkey, explain how the accumulation of unmanaged wastes from the food industry, particularly in developing countries is becoming increasingly problematic. As such, researchers are hoping to find new applications for such waste in the creation of environmentally friendly materials and composites in the road-building and construction industries for instance. This is particularly pertinent given the rising cost and chronic shortages of conventional materials. Engineers are thus being challenged to convert industrial wastes to replacements for certain materials. Concrete is perhaps one of the most energy and resource intensive materials and researchers have investigated and applied waste rubber, glass powder and paper waste sludge as alternative fillers and bulking agents. 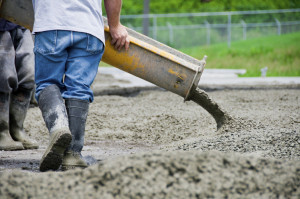 The addition of such materials can affect significantly the properties of concrete altering its strength, density and water resistance detrimentally in some instances. The team has turned to the sunflower seed and more specifically its inedible husk as a possible alternative material for concrete. Turkey is the ninth largest sunflower producer in the world, generating almost a million tonnes of product from 584000 hectares, the bulk of which is used in the manufacture of sunflower oil in the Thrace region. 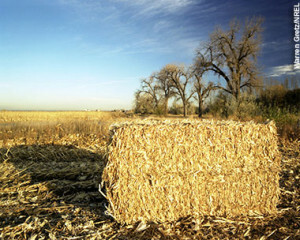 The by-product is approximately 300000 tonnes of fibrous seed husk. The team has therefore experimented with different formulations of seed husk in a concrete mix. They produced concrete samples with the lowest density could be classified as “lightweight.” Some samples had low compressibility suitable for construction use although higher husk content meant the resulting concrete could be used only for insulation applications. The team suggests that the sunflower seed concrete would be most suitable for the construction of agricultural buildings that are usually only one floor and do not to be as sufficiently load bearing as domestic or office buildings.